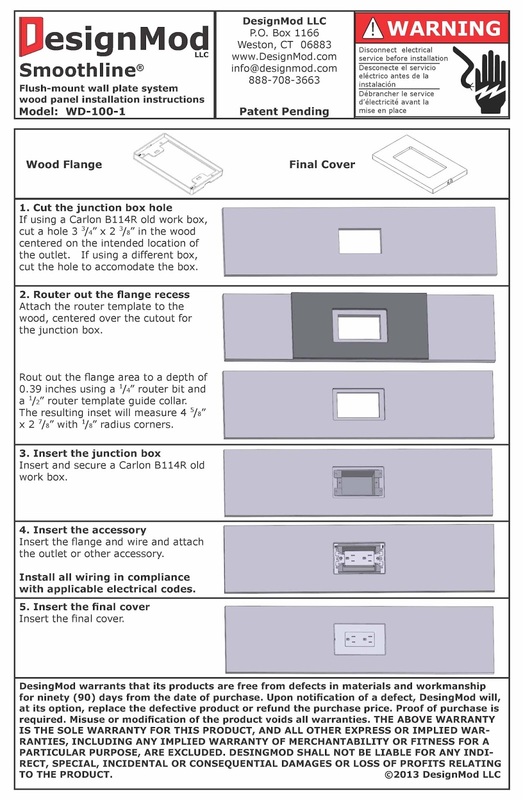 DesignMod is excited to announce it's new Smoothline flush-mount wall plate system for wood installations. The system is available in white for one-gang installations. 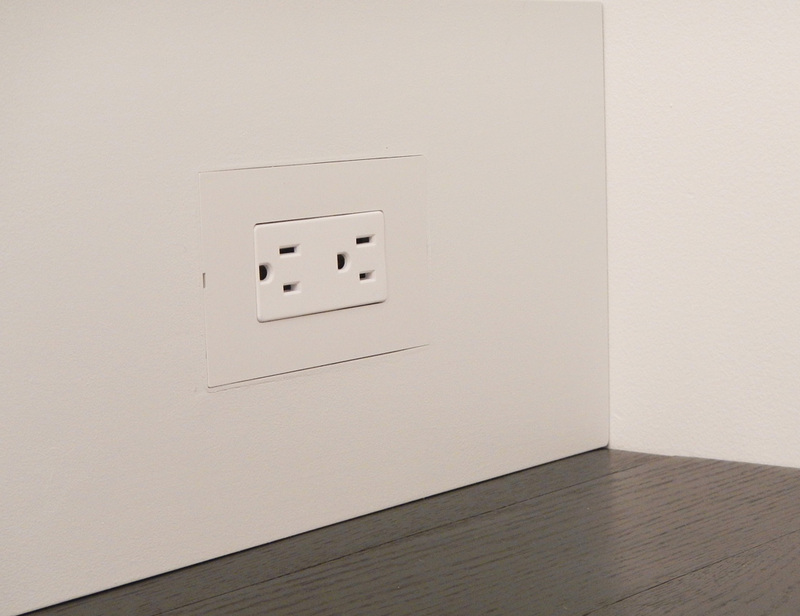 The system is a perfect way to install outlets in baseboards and wood-covered walls. 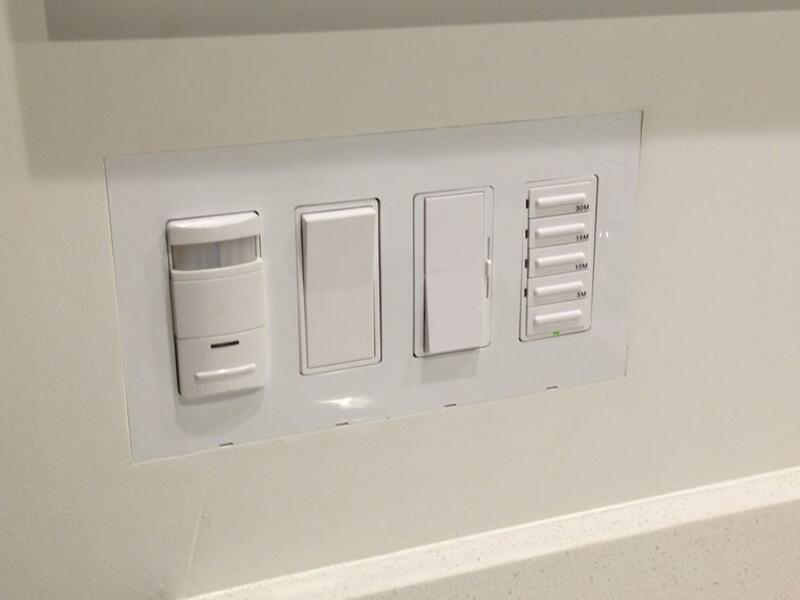 Here's a nice example of a 4-gang Smoothline wall plate for drywall using a variety of switch styles. Smoothline flush switchplates will work with any decorator shape insert, including switches, outlets and A/V accessories.